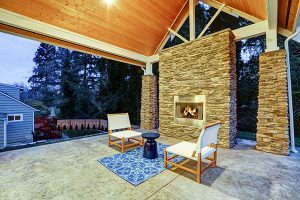 Home > Blog > Are Fireplace Ashes Good for the Garden? Ash is one drawback to having a wood burning fireplace. 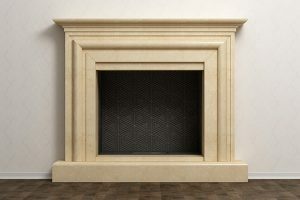 In fact, along with the discomfort of the smoke it produces, the primary reason that people switch from wood burning to gas fireplaces is because they’re so much easier to clean and maintain. Did you know that ash can serve a purpose in your home garden? It may shock you, but fireplace ash is actually beneficial to a garden. It has practical applications and is a far easier way to get rid of the ash compared to sweeping it up and dumping it in a garbage can. Wood ash works in a garden as a fertilizer because it’s rich in lime and potassium. Additionally, the ash features many of the trace elements that plants like to thrive in. However, it’s not as simple as just sweeping up your fire pit and then dumping it in one pile in the garden. Wood ash fertilizer works best when lightly scattered over the ground, and is more effective when first being composted. The ash functions the best in compost because of the lye and salt in it. When the salt and lye gets wet, it can burn the plants in your garden. Yet when lightly scattered or mixed in a compost, the ash is generally not potent enough to cause any serious problems. 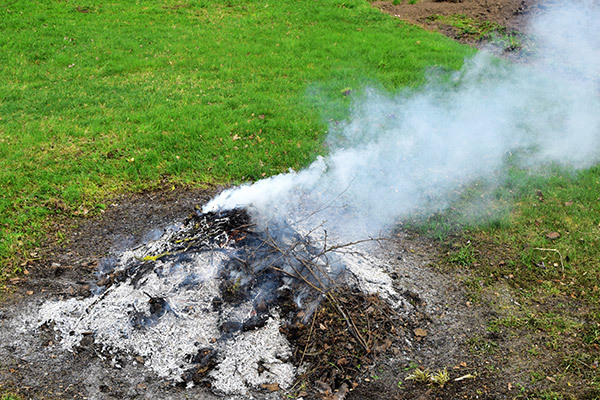 Wood ash in gardens also functions as a natural type of pest control. The salt produced in the ash is effective in killing troublesome pests like snails, slugs, and soft-bodied invertebrates. Lastly, wood ash can alter the pH of the garden soil. It works perfectly for plants that thrive on a higher pH with lower acid in the soil, but not so much so for plants that love acid like azaleas, blueberries, and gardenias. In general terms, wood ash is good for garden fertilizer. However, the ash has different potency levels depending on the type of wood that was burned. Hardwoods like oak and maple contain extremely high nutrient and mineral levels. As a result, they’re very potent fertilizers and the ash doesn’t need to get scattered nearly as thoroughly. Hardwood ash also works well in areas that you’re attempting to revive with high nutrient and mineral volumes. Softwoods like pine or firs, on the contrary, produce fewer nutrients and minerals in the ash. Though they still work as a garden fertilizer, it’s important to be made aware it might take more ash to produce the same effect as hardwoods. 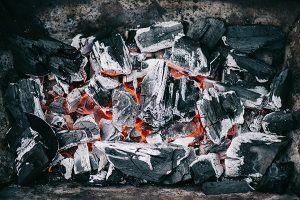 Recycling wood ash back into the environment through garden fertilizer isn’t a new concept, but thankfully more fireplace owners are starting to realize ash has more benefits than simply dumping it into a trash bag and hauling it off to the landfill. Burned wood doesn’t contain nitrogen, which is unusual compared to leaves, stems, and other parts of a green plant. However, ash does contain calcium, boron, and phosphorous along with the aforementioned lime and potassium. The latter of which is extremely sought after by horticulturists because plants, just like every living creature, benefit substantially from potassium. Interesting enough, potassium derives from the word “potash”, which is a substance that is literally composed of soaking ashes in a warm pot. The high alkaline in the ash can also raise the pH in gardens for plants that aren’t very acidic. 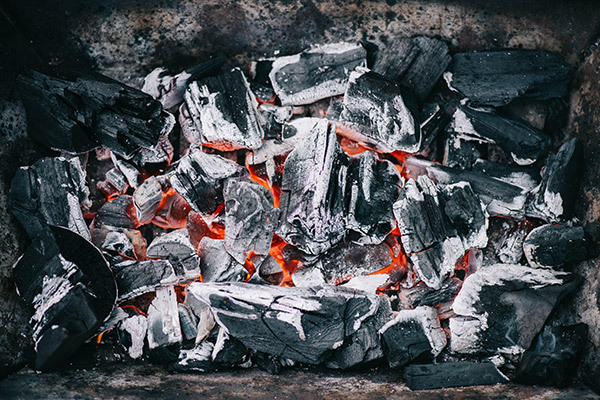 Before you rush to sweep up your fireplace and make up a compost, it’s important to remember that you should only collect wood ash and not ash that exists from coal, charcoal briquettes, or fake logs. Furthermore, you should also consider testing your garden soil for its pH. If the pH level is 7 or higher, there is really no need to give the soil more alkaline. Instead, you should consider donating it to a neighbor or friend for their garden. Plants that thrive on acid will not perform well with wood ash, including potatoes that get scab disease. You should also avoid scattering wood ash near green foliage, particularly young seedlings. Why? Young seedlings get burned easily so the salt contents of the ash aren’t appropriate for the delicate plants. Now that you know the precautions, feel free to mix up a blend of the ash with your compost and begin scattering it. Depending on if the ash is hardwood or softwood, or a mixture, it may dictate how much of the fertilizer you lay down in the garden. It’s also a good idea not to keep the ash mixed for days or weeks before spreading it on the ground. Ash is known to get overly concentrated which doesn’t produce a consistent blend. Fertilize your lawn. Like a home garden, your turf can also get a boost from wood ash fertilizer. It’s important to apply the ash lightly so it doesn’t burn the sod. When spread effectively it helps foster the growth of clover in a lawn, which in turn provides nectar for bees. Spread ashes around the base of hardwood trees. Apple trees love the boost they get from ash, and other hardwoods are known to prefer the treatment. Might as well spread a little treatment back to its source. Supplement freshly grown tomatoes. Gardeners like to soak wood ash in a permeable cloth or burlap bag with water for a few days. When tomato plants flower, the crop gets a huge boost from the extra potassium. Wood ash serves a number of practical purposes in a garden and is a far better way to recycle the content compared to dumping it in a landfill. Give back to the earth that gives to you, by recycling your wood ash as garden or lawn fertilizer. Before you start another fire in your fireplace, you should count the number of times you’ve used it. 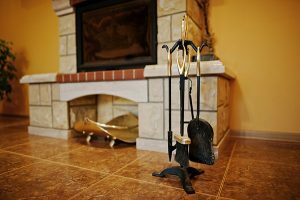 You’ll want to maintain a clean and safe fireplace by removing the creosote and toxic chemicals that are embedded inside your chimney. Speak to a specialist and get a free quote online today.